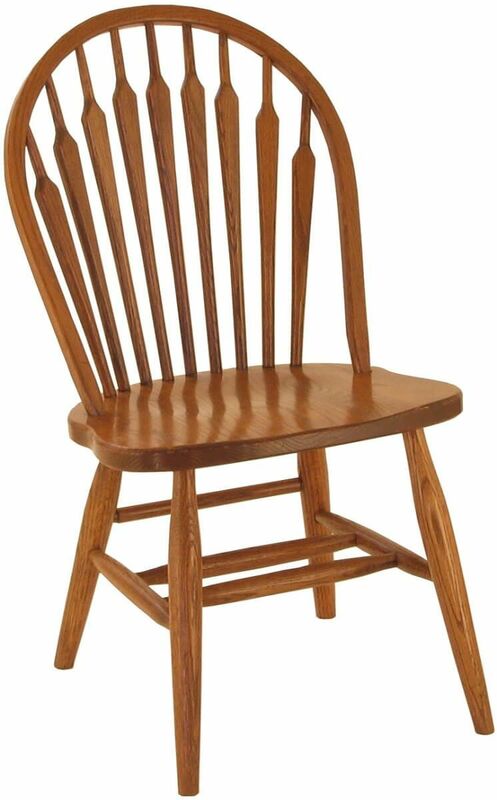 Comfortable and durable, our Amish Handcrafted Kimball Low Back Chair is terrific when you need several classic chairs for personal or professional use. Shown in Oak, our Kimball Low Back Chairs are also available in solid domestic Cherry. These handmade bow back kitchen chairs are perfect for kitchen, casual dining room, reception halls, or restaurants. Match your decor when you choose the stain our artisans will hand apply to your hardwood dining chairs. No matter what you choose, our reinforced attachments and catalyzed conversion varnish will make your Kimball Low Back Chair durable for a lifetime. Let Countryside deliver these bow back kitchen chairs to your home or place of business.